Atherosclerosis, the clogging of arteries by deposits of fat and cholesterol, is a major cause of cardiovascular disease especially among individuals with diabetes. Although reducing the rate of atherosclerosis progression is desirable and has been achieved clinically by lipid lowering medication, such therapies are far less effective among diabetic individuals leaving them at high risk of cardiovascular complications. An important topic of our research program is to explore the interplay between plasma lipoprotein metabolism and microRNA-controlled inflammation in atherosclerosis initiation and regression through studies of mouse models developed in our laboratory. We also explore how hyperglycemia impacts on dysregulating microRNA biogenesis in immune cells as a cause enhanced inflammation and atherosclerosis in diabetic mice. Cushioned-Density Gradient Ultracentrifugation (C-DGUC) improves the isolation efficiency of extracellular vesicles. MicroRNA-146a & hematopoiesis: friend or foe in atherosclerosis. Apolipoprotein E and Atherosclerosis: From Lipoprotein Metabolism to MicroRNA Control of Inflammation. 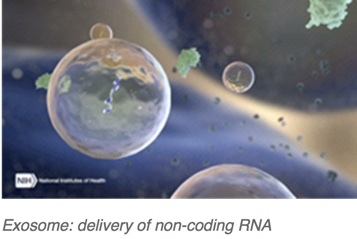 Advances, challenges, and opportunities in extracellular RNA biology: insights from the NIH exRNA Strategic Workshop.